Hello, Divers! We usually do these near the top of the month, but felt that it was better to let everyone know early about upcoming fun we're having. First some shop news though. Undersea Outfitters is thrilled to welcome two new SSI Dive Professionals to our ranks! Scott Savaleski and Lee Miller both completed their SSI Divemaster certifications recently, and will be helping out with classes. Interested in becoming a dive pro? Stop in and see us, and we can give you the scoop. Just a quick note on buying gear. We know that you can find some great prices on the Internet. Before you click "Buy" though, come see us - we can usually meet or beat the prices you find online, and we service what we sell. Bonaire is a true dive mecca. 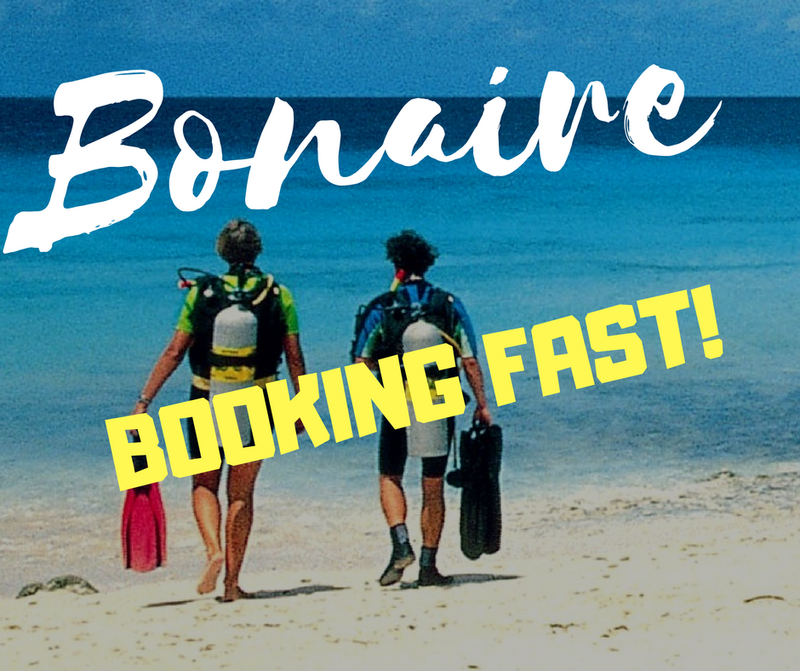 World renowned for its pristine and easily accessible reefs, Bonaire is consistently rated among the top dive destinations globally. We will have a maximum of 10 divers on this trip, so sign up soon to join us. Great for both new and experienced divers alike! Boat dives and Nitrox add-ons available at reasonable rates. This is where it begins, the first step to being a Diver! This globally-recognized certification program is the best way to begin your life-long adventure as a certified scuba diver. Personalized training is combined with in-water practice sessions to ensure you have the skills and experience required to become truly comfortable underwater. September Class is now forming: Pool sessions Sept 10, 13, 17, 20. We still have 4 spots open for this class - don't wait! Want to dive places that are out of reach of the ordinary open water diver? This program provides the knowledge and experience required to independently plan and conduct limited decompression dives to a maximum depth of 40 meters, using nitrox mixtures up to 50%. This entry-level program introduces you to the Extended Range training techniques and skills, and can be completed wearing a standard single-cylinder equipment configuration. Open Water training will be held in Pompano Beach, FL Oct 8-10. There's still time to register and complete the on-line and pool training. Geared towards Stress and Rescue students and dive pros who need an update. The class will on on September 15th. Great to anyone who wants to lear what it takes to maybe save a life. Required if you intend to "Go Pro". 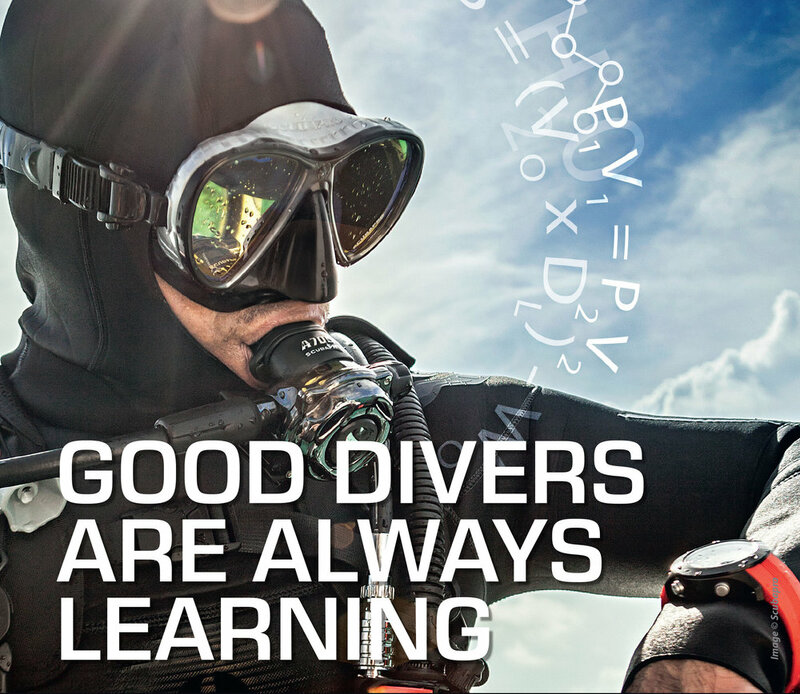 Advance your diving skills and knowledge with SSI Continuing Eductoin. Nitrox, Deep, NIght/Limited Viz, Navigation, and Wreck classes are now forming for October and November. Come in and talk to us about finding the classes that are right for you!